RadTreeView supports searching for nodes by the Text of the node. 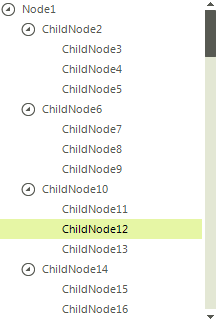 It is also possible to search by a Predicate which returns an array of all nodes that match the search criteria. A common case is to look for nodes by a certain value. The following approach gives you an easy way to search the nodes by the Value property.